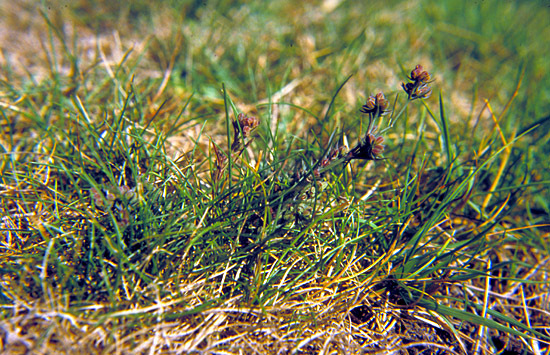 Other common species on the dry parts are Plantago maritima, Lotus corniculatus, Hieracium pilosella, Ranunculus bulbosus and grasses as Festuca rubra, Anthoxanthum odoratum, Festuca ovina, Aira praecox and Agrostis capillaris. Salt marshes are often developed on raised sea bottum. It is often possible to see a system of depressions in the salt marsh developed when the area was covered by the sea. The variation between the humid depressions and the more dry areas in between results in a very rich flora. The small umbellifer Bupleurum tenuissimum can be found on the dry ant hills on salt marshes. The species is getting rare in Denmark and is most found in the southern parts of the country. In the more low-lying parts of the salt marsh, the salty waters has an influence on the vegetation and several species of salt-resistant plants grows here. Common species are Juncus geradii, Trifolium fragiferum, Potentilla anserina, Glaux maritima, Triglochin maritima, Agrostis stolonifera, Trifolium repens and Centaurium littorale var. littorale. 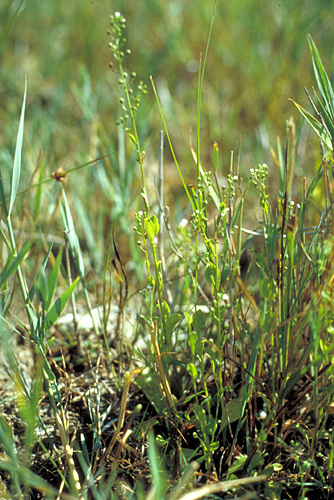 Samolus valerandi in the right picture grows in the more humid depressions on salt marshes where it can be seen in thousands. The species is getting rare in Denmark due to fertilization of the salt marshes. 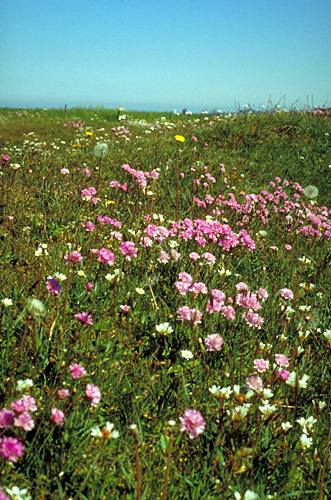 A number of rare species of plants can be seen on the salt marshes and on grassland lying near the coast. One of these is Gentianella uliginosa in the left picture. 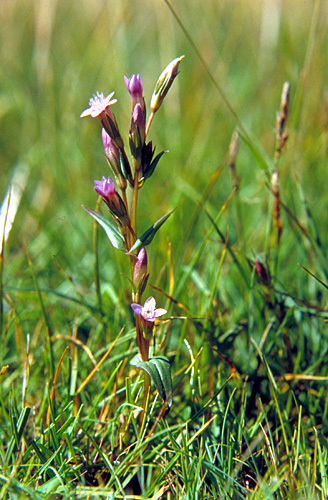 Gentianella uliginosa is to day quite rare in Denmark and has been included on the danish red list of threathened and endagered species. Back to The coast of Mols.